Quite possibly my favorite shoe of all time. Last year I partnered up with Salming, a Swedish sporting-goods company which broke in to the domestic running shoe market in late 2014. 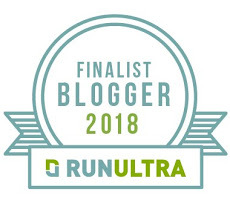 I felt very lucky to be included among their first crop of sponsored athletes in the US, and I put in many happy miles in the Trail T1 and the Race, an ultra lightweight road-racing shoe. I greatly enjoyed my relationship with the company and I'm thankful for the support they give me, and I stand by their shoes, which are of excellent quality. I'm thrilled to announce, however, that at long last I'll be rejoining Team inov-8 in 2016. Inov-8 was the first company to take a chance on me, back in 2011. Over the past few years, their team has moved in a number of different directions, as have I. I couldn't be happier that we've found our way back together. Inov-8 is known overseas as the industry leader in the absolutely insane niche of our sport known as fell running. In the last few years they've expanded into orienteering, road running, and Cross Fit; but the trails remain their bread and butter. They make shoes that are lightweight, flexible yet supportive, with incredible traction, and across a wide range of heel-toe differentials. There is a shoe for every ultra runner in the inov-8 line. Usually more than one. The inov-8 team has seen many accomplished runners come and go, both in the US and internationally. I'm the first to admit that I'm not on the level of many--maybe any--of my teammates, or even on the same level as many of the runners who are no longer associated with the team. I'm under no illusion that this is a purely, or even mostly, performance-based relationship. Whatever middling ability I've cultivated as a writer--and my willingness to contribute my writing to the inov-8 blog--is a major part (maybe the biggest part) of what I bring to the table. And I'm ok with that. I'm going to represent this company to the best of my ability, with pride and with joy. I'm going to do everything I can to live up to the faith they've shown in me. Hopefully we'll find some good stories to tell, and hopefully you'll join us for a fun ride. As Max said when leaving Montrail for Salomon early last year, there are always mixed feelings when making a change of teams or sponsors. You feel loyalty to those who have backed you in the past. You don't want to feel like a "sellout". You've made relationships that you are leaving behind. These are never easy decisions. But this one was made much easier for me because there is no other shoe company I want to run for. Right now, I feel like I'm back home. Inov-8 isn't my only sponsor. I'm lucky to have support from a number of fantastic companies, including Mountain Peak Fitness, Red Newt Racing (and, through the MPF/RNR team, GU, UD, and Merrell), Orange Mud, and Yard Owl. Check out my new and improved Sponsors page and please patronize these fine companies (in a non-patronizing way of course).